The Parker Jotter was first introduced in 1954. Those first models were made from a nylon material with ridges along the barrel. The first colors were black, grey, red, orange and green and are extremely collectable. The clip was plain (not the now famous arrow clip). The greatest innovation was the rotating ball. 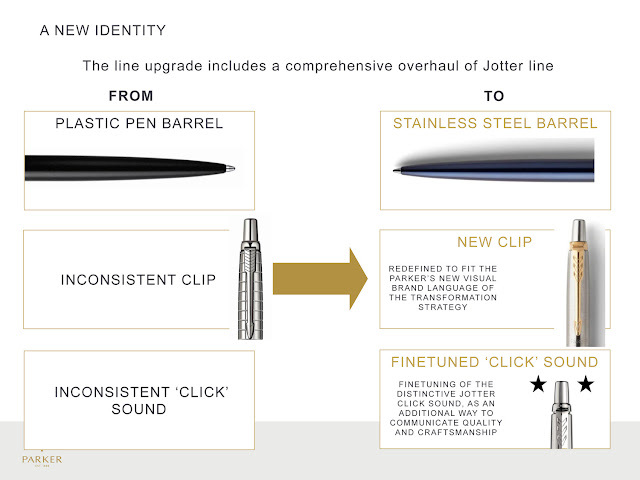 With every click, the refill rotated slightly, ensuring even wear of the ball point. Other ballpoint pens on the market simply stopped working when the ball eventually wore itself out of the round shape. In 1957, Parker changed the ball to a super hard tungsten carbide material that was textured to better grip the paper and reduce skipping. This feature is still used on all ballpoint pens today. In 1958 Parker added the iconic arrow clip to the Jotter. 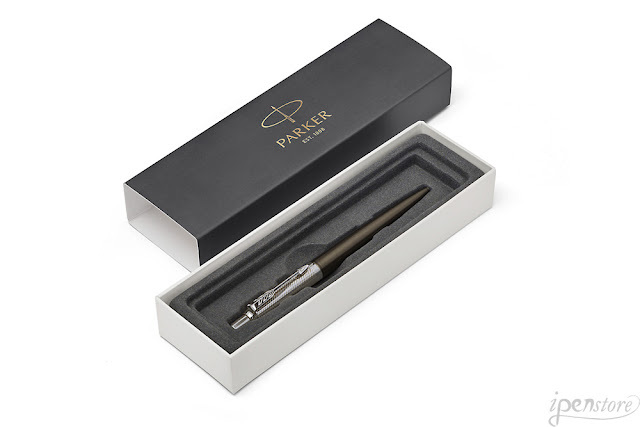 No other pen gets more attention at iPenstore than the Parker Jotter. We get calls every day from Jotter collectors looking for the latest color or a rare color. We've regularly brought in special colors from Europe. Parker recently announced a complete revision on the entire Parker product line, including the Jotter. Over the last few months of 2016, we'll be replacing all of our current stock with the new models. (The new finishes are expected to start shipping in mid-October, 2016). All of the new Jotters will come in an upgraded gift box. All 9 Core finishes have an MSRP of $19.99. Our every day published price will be $15.97. The Premium and Luxury models have an MSRP of $24.99. Our every day published price will be $19.97. To celebrate the introduction of the new models, we'll be offering special introductory pricing. Watch our weekly newsletter for a special offer on all the new Jotters in mid-October! 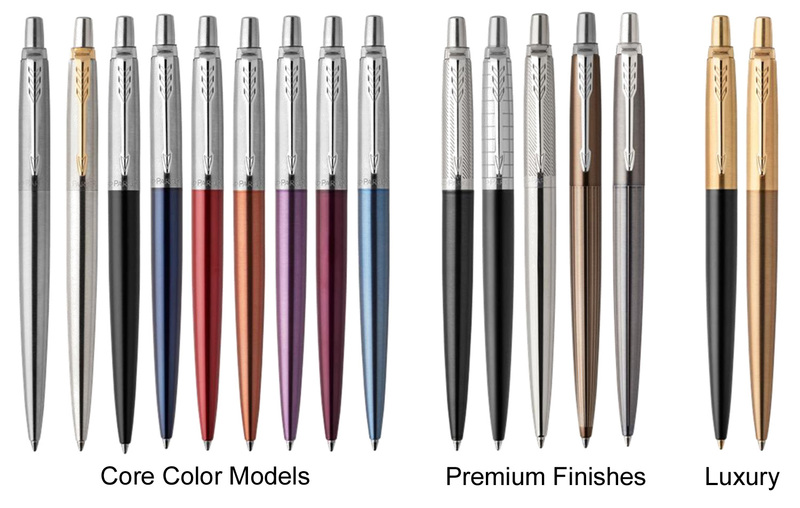 (Parker expects to start shipping the new Jotter models October 15, 2016). Looking for a current model Jotter? Visit our website - we'll continue to carry current production Jotters as long as we can! Click on our logo below to go directly to our Jotter page. Introducing our Bundle of the Week!